Be the first to hear about their new releases and deals. Download the Booksprout app and search for Haley Pierce today! 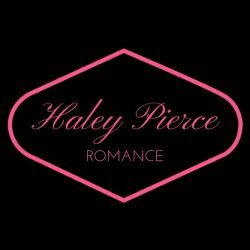 Haley Pierce loves writing contemporary steamy romances about hot bad boy hunks and the young and sweet women who steal their hearts. No cliffhangers here! Haley is a true romantic and believes everyone deserves an HEA. Haley lives in Western Canada and when she's not indulging in her passion of writing hot romances she loves blissful walks in the forest with her dog and sharing wine and laughs with friends. Sign up for Haley's newsletter and get "Hard Bargain", a virgin auction romance novella for FREE! !